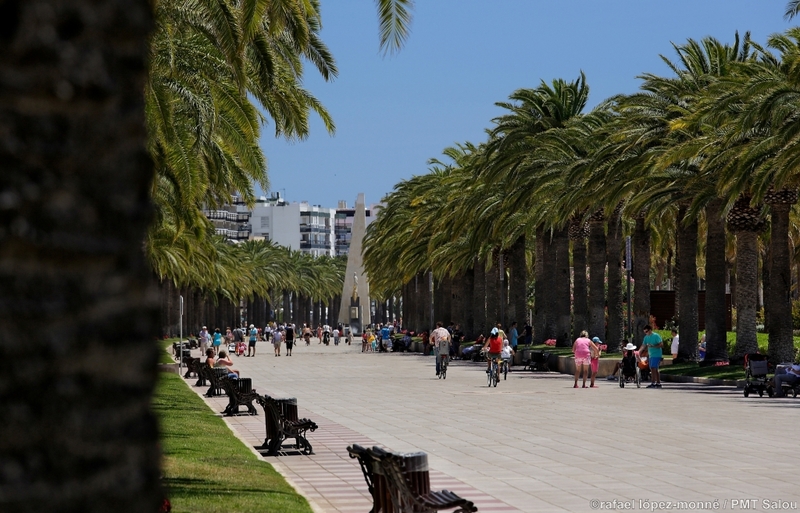 Only a few places go through such a transformation as Salou’s Passeig Jaume I does. Probably, this is why this is a beloved location by the people of Salou, but also by those visiting the capital city of Costa Daurada every year. No wonder, as the Passeig Jaume I evolves throughout the day, as the sun goes down. In the morning, when the sun starts to rise, it becomes the perfect place for some running. If you like devouring the miles, we do recommend that you put your running shoes on and discover Passeig Jaume I, while listening to the bewitching soundtrack of the waves of the Mediterranean Sea caressing the golden sand of Llevant beach. During the morning, Passeig Jaume I bursts with life. 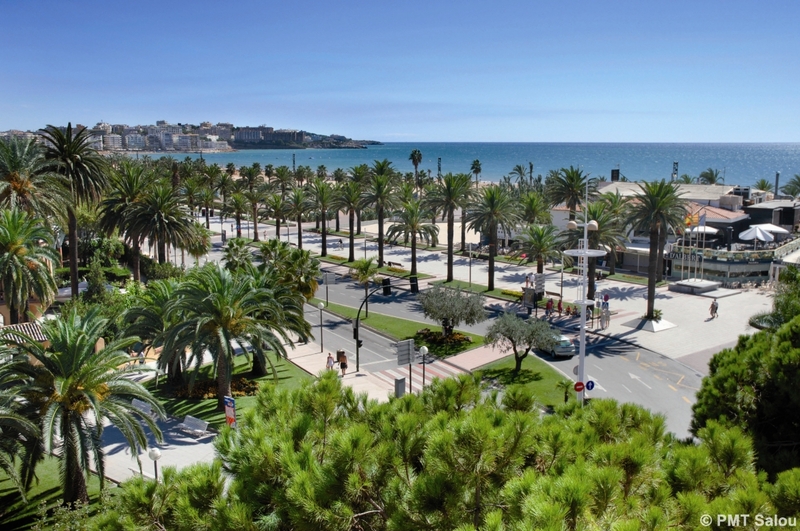 The majestic palm trees are the best protection against sunlight for those that choose to wander along the main artery of Salou’s maritime façade which, as the day comes to an end, starts wearing its best dress to welcome those willing to chill under the evening’s mild temperatures. 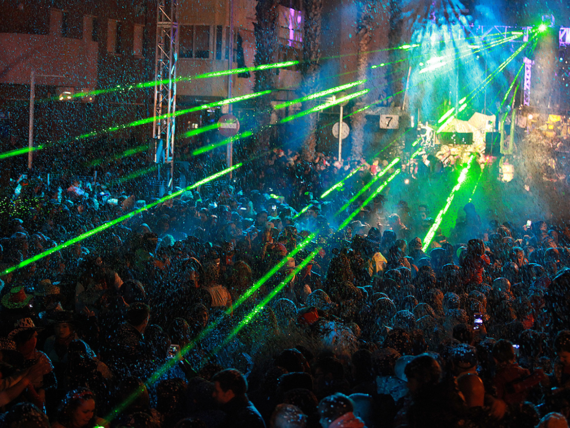 At night though, people won’t forget about it, no way! 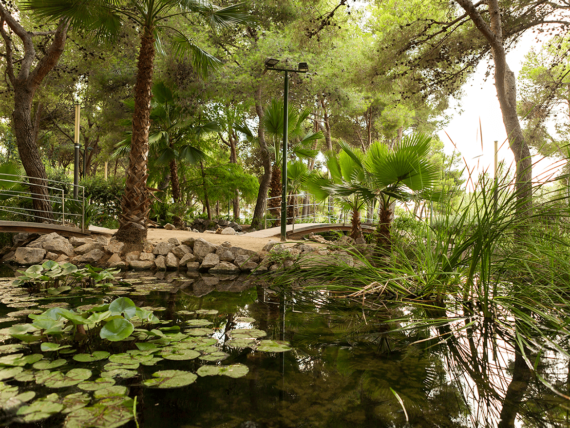 Passeig Jaume I is the home of the stunning Fountains of Salou. Thus, and during the summer, kids –and adults also– decide to meet round the place, while enjoying their delicious ice-creams, and cooling down as they follow the route the fountains provide, among which we particularly recommend both the Cybernetic and Luminous fountains. 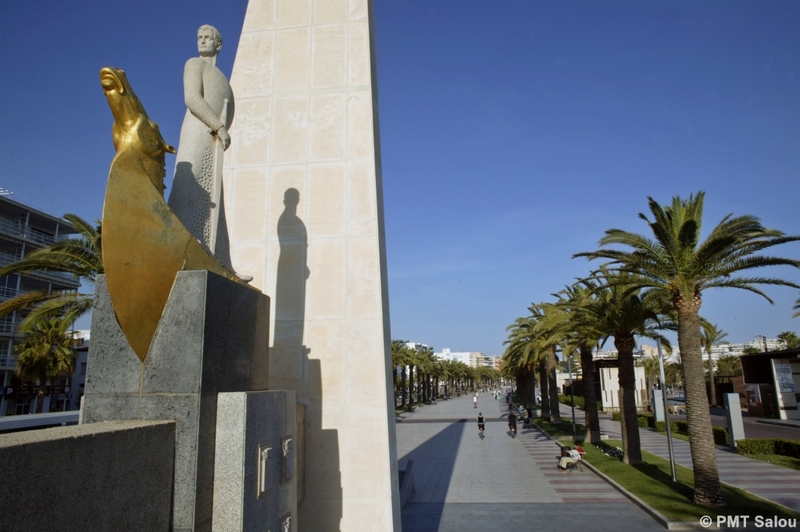 Don’t forget that Salou’s Passeig Jaume I is a historical location. Sure enough, troupes commanded by Jaume I and some Catalan noblemen walked around the place before they left towards Majorca. This was in 1229, and in order to commemorate this ephemeris, the architect Salvador Ripoll and the sculptor Lluís Maria Saumells created a statue made after the Catalan monarch in 1965, which has stand out the crowd ever since.